In our Design 101 series, we’ve covered topics such as paint colors, window treatments, and lighting. But what about furnishing your home? 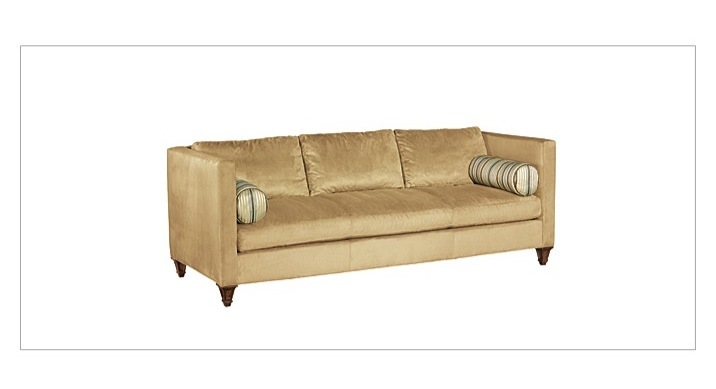 When we approach furniture selection, we usually start with the most used piece in the house: the sofa. There are a lot of options when it comes to shopping for a sofa, and it can be an investment to find the right one for your home. So we decided to devote an entire month to sofas! If you’re in the market for a new sofa, make sure to follow our blog to learn more about finding the perfect one for you! When thinking about how large your sofa should be, consider the size of your room first. There is nothing that will make a small room feel even smaller than using a sofa that is too large. In a large room, you could also consider using more than one sofa to create a formal sitting area. You will also want to consider who will be sitting in the sofa. If everyone in your family is tall, you may want to consider a deeper sofa that will be more comfortable for long legs. If someone in your family has bad knees, shallow seating with a tight back will make the sofa easier to get in and out of. When you visit the store, bring a measuring tape with you. You’ll want to measure the length, depth, and height of the sofas you are considering. You can use the measurements to mark out the sofa options in your room by using painter’s tape or newspaper. Once you have the tape or newspaper in place, try walking around your room to get an idea of how you will use the space and how much space is available for a sofa. You’ll want to make sure you have enough room to sit comfortably and walk around the sofa. You can mock up a coffee table with tape or newspaper as well to give you an idea of legroom. When it comes to sofa style, there are endless variations. We have sourced all different types of sofas, and even created some styles of our own. To get you started, below is a list of traditional sofa styles to help you figure out which is right for you. Camelback sofas are very traditional. They are easily recognizable by their curved back and high rolled arms. Camelback sofas nearly always have a tight back, and it is often tufted. Chesterfield sofas are highly styled with high rolled arms and a rolled back. The tight back is tufted, as is the seat. 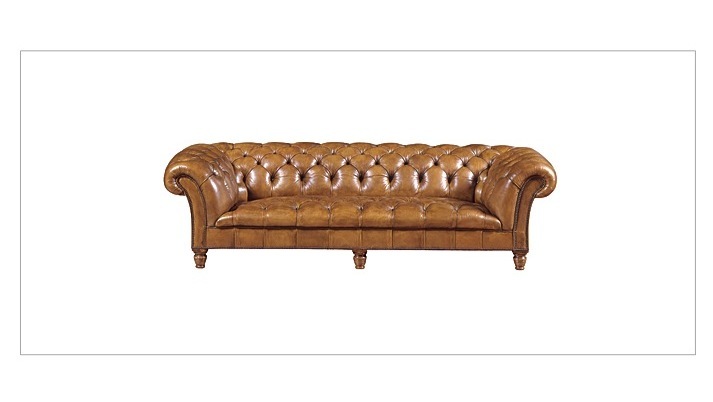 Chesterfield sofas are typically on turned legs. An English (or Club) sofa has a rounded arm that is set back slightly from the front of the seat. They will often have tight backs, loose seat cushions, and turned legs on castors. Similar to the English sofa, a Bridgewater sofa has low, shaped arms that are set back slightly from the front of the seat. 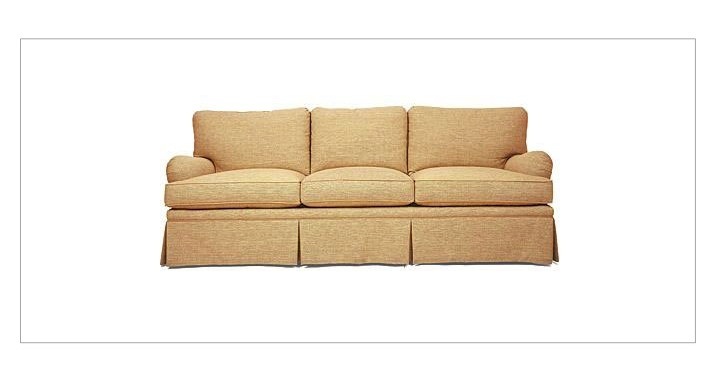 However, Bridgewater sofas commonly have loose backs and seat cushions, allowing you to adjust the firmness of both. 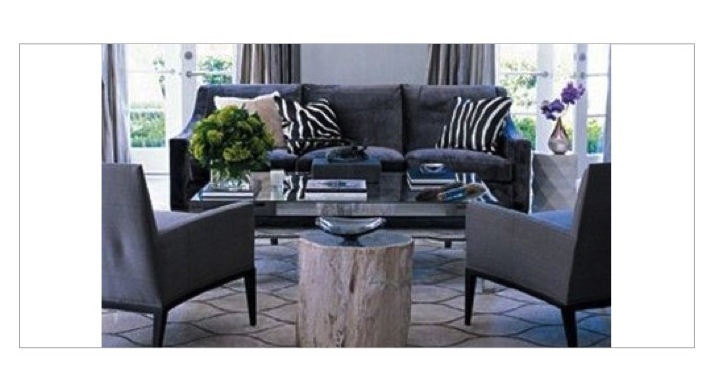 Bridgewater sofas can have exposed legs or skirts. 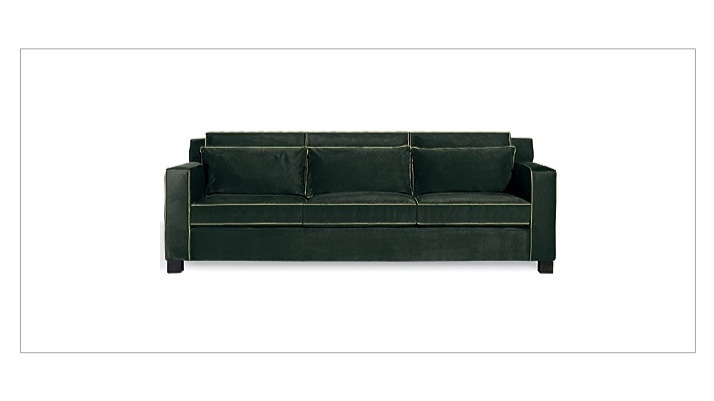 A Tuxedo sofa has arms that are the same height as the back of the sofa. Tuxedo sofas have modern clean lines, with arms that are either straight up and down or at a slight angle. 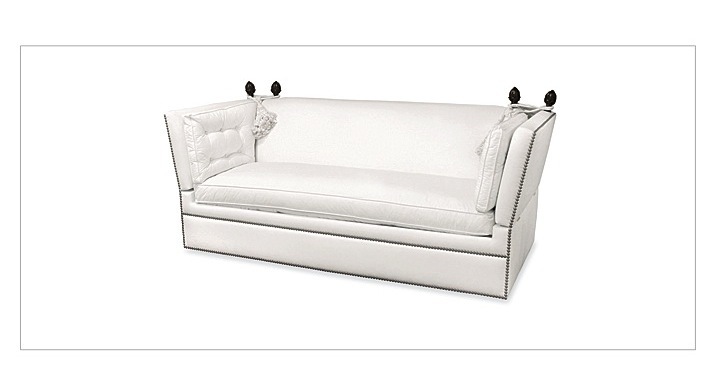 A Tuxedo sofa is not to be confused with a Knole sofa, which is more traditional. The Knole sofa also has a straight high back, but the arms are adjustable so that they can be raised or lowered. The arms are held in place by cords wrapped around finials. century, in the style of Louis XV, but can also be used as a more modern option. The arms curve around to the back of the sofa in a continuous line. 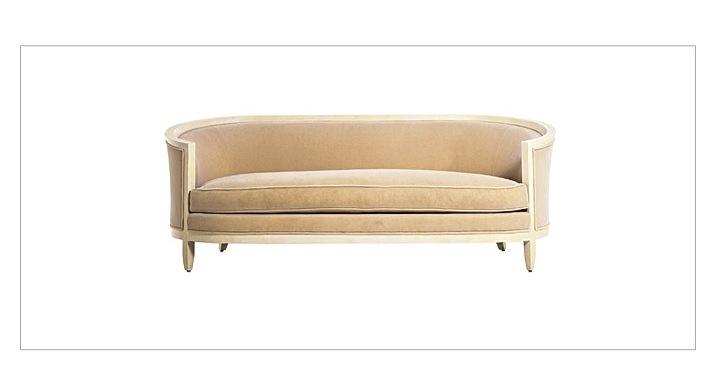 A Cabriole sofa often has wood trim to emphasize the shape, along with wood legs. 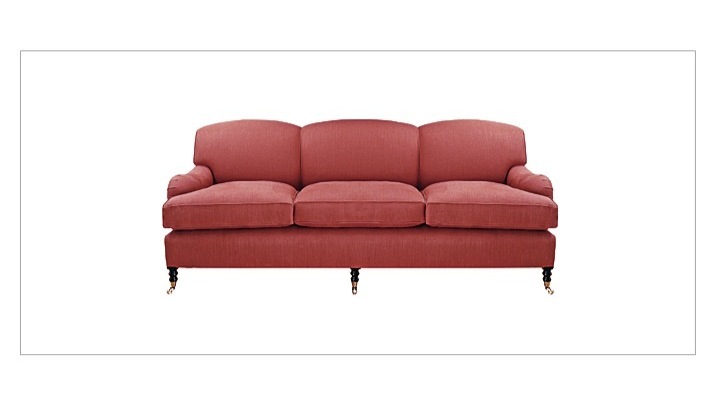 Lawson sofas have squared backs, with arms that sit at a lower height. The back and cushions of the sofa are often loose, allowing you to adjust the firmness. 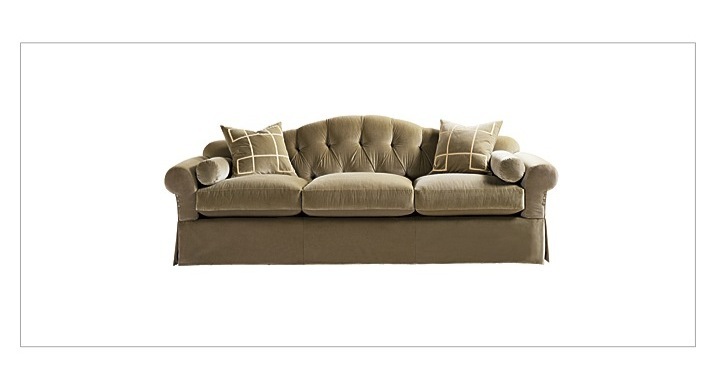 Lawson sofas are often on squared feet, but can also have a skirt. Midcentury modern sofas are minimalist with straight, clean lines. The overall height of the sofa is often lower than other sofas, and the legs can be found in materials such as aluminum or steel. Before investing in a sofa, you’ll want to consider how you will use it. Will the sofa be somewhere you sit, relax, and read a book or watch TV? Or will the sofa be used mostly for entertaining? 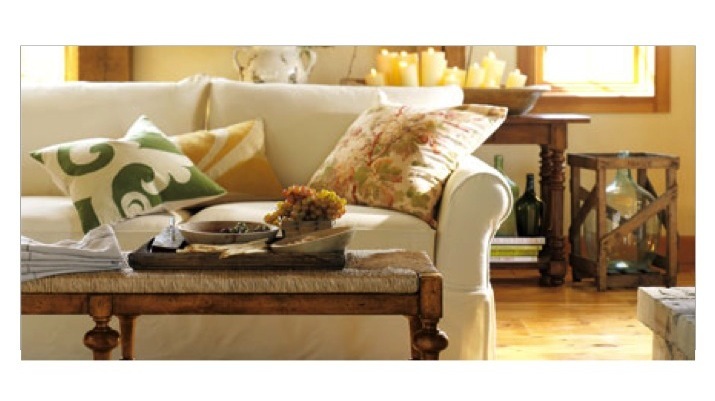 Consider how the style of your sofa fits into your overall design theme. Are you modern or traditional or somewhere in between? There’s no rule that your sofa has to sit against a wall. Try pulling them off the walls to divide spaces or to put a sofa table behind. In a TV room, you can get an extra seat or two by adding a chaise to the end of the sofa or using a L shaped sectional. Buying a sofa with legs can give an illusion of more open space in a small room. Ideally, you want to maintain 16-18” between your sofa and your coffee table.